Founded by survivors of the 2013 Boston Marathon Bombings, One World Strong is an international network of survivors of violent extremism who have experienced and overcome significant injuries and trauma, often with life-changing consequences, and offer support to other survivors. This April the inaugural One World Marathon aims to bring people from around the world together by participating in a marathon as a global community. We encourage all of our SCN Members and partners to consider how to involve your organisation, your community and your city in this extraordinary effort. The One World Marathon will be taking place from 12-15 April 2019. If you wish to participate, you can visit the One World Marathon page at https://www.oneworldmarathon.org. As part of its continued support of and collaboration with the organisation, the Strong Cities Network spoke with One World Strong founder and recently appointed SCN Fellow Dave Fortier about the network, its wider mission, and the importance of support for victims of violent extremism. 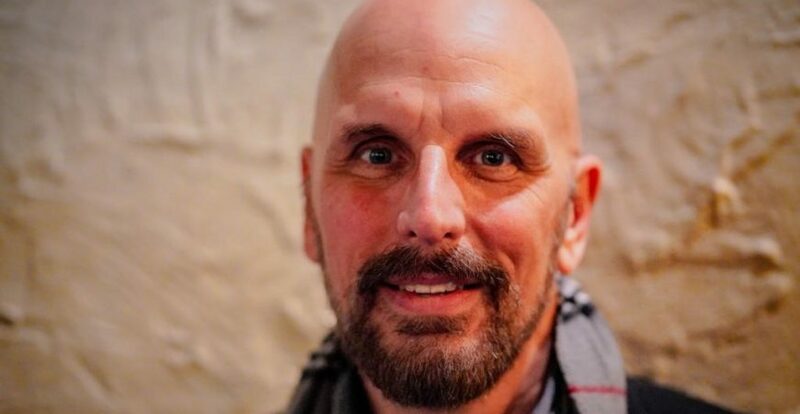 While running for a friend suffering from leukaemia, Dave Fortier was one of more than 250 people injured in the dual explosions near the finish line of the Boston Marathon on 15 April 2013, set off by Islamist extremists. Dave Fortier: …about 10 yards from the finish line I was just looking to go around the gentleman that was in front of me, and that’s when the first explosion happened. I remember the heat, I remember the concussion, that sound wave – I was pushed sideways. I didn’t realise it at the time but shrapnel had gone through my shoe and my foot. In the following weeks, the survivors received an outpouring of support from around the world. However, it was visits in hospitals and rehab centers by members of the Sempre Fi Fund, a group of veterans from the Iraq and Afghanistan wars who had suffered similar injuries, which had the biggest impact on Dave. They were people who we could talk to that had experienced something similar, and unlike a lot of the other visits we received, these folks came and were very clear that they were coming back, and that they wanted to work with us and they wanted to help. The support they provided and continue to provide (Dave is still in contact with them) was simple and humble, but enduring. Beyond simply being available for a chat or helping to adjust to new, often life-changing realities, it was the permanence of these relationships, forged with other survivors with similarly traumatic injuries, which provided the necessary safety net of support. Inspired to bring the same level of support to other survivors of violent extremism, Dave helped to found the One World Strong Foundation in 2015. Since then, they have visited survivors of the Sandy Hook Elementary School shooting in 2012, the Pulse nightclub shooting in Orlando, Florida, in June 2016, and the Las Vegas shooting in 2017. They have also engaged abroad, with survivors of the Bataclan theatre attack in Paris in November 2015, and the arena bombing in Manchester, UK, in May 2017. Four years on, the network encompasses survivors from as far afield as Jordan, Egypt, Australia, France, Norway, Belgium, Canada, Colombia, Somalia, Mali, Tunisia, Syria, Lebanon, Israel, the UK, the U.S. and many other countries. That’s what this is, a building out of a survivor base – it’s survivors supporting survivors. When I talk about survivors, there’s three groups: there’s folks who have been injured physically or mentally; there are folks who have lost loved ones to an event; and there are first responders. Beyond helping survivors through the often challenging and isolated process of emotional and physical healing, Dave and others in the network have found that the act of helping others has in fact consolidated and expedited their own healing process. It is an act that is universalist in its purest sense, in rising above distinctions of nations, languages or ethnicities. This rings true when considering the partial coverage by news outlets of global extremist attacks which, as Dave describes in the case of U.S. media, will favour attacks on Western soil at the expense of those for example in the Middle East and Africa. He cites the 2017 bombing in Mogadishu in which 583 people were killed and 316 were injured as an example of this bias. But we know personally what those people are dealing with – and we don’t care about religion, or politics or ethnic background – it’s just people helping people in its purest sense. Moreover, helping survivors of violent extremism can actively prevent further acts of extremism. The folks in these countries, they feel left alone, they feel isolated, they feel marginalised, they feel silent – and that can breed more extremism, more violence. So our reaching out to those people not only is to help folks who have been recently impacted, but can also help prevent future events from happening. By using social media to share stories and bring people together around the world who might otherwise never physically meet, One World Strong has incredible potential to establish common ground among communities otherwise divided by geography, language or beliefs. It’s those stories and many of them being amplified that people can realise they’re not alone and there are other avenues. Cities are essential to this role, able to disseminate vital information in the immediate aftermath of an attack far more effectively than a single organisation. However, the delivery of psycho-social support to survivors of violent extremism is a time-consuming and often expensive process over a number of years. Rather than shouldering the burden of this support directly, cities are encouraged to use existing networks such as One World Strong to help foster environments of solidarity, cohesion and support in the weeks and months following attacks. [It’s good for a city to know] that a network exists if something happens – that they can connect survivors who have experienced something similar… where survivors can reach out and help others… It’s important for cities to know that they have access to that now to help with what they do. Importantly, cities can help to incorporate networks such as One World Strong as vital and intrinsic parts of their post-incident responses. If cities can help us to become more a part of their fabric – whether that’s through education and prevention… we want to be a part of that fabric. Because if we can prevent something from happening, even better. But if and when it does, cities know that we’re there and know how to access us. This has led Dave and the One World Strong team to propose a global marathon, where teams of participants around the world will combine their efforts to achieve a total of 26.2 miles (or 41.195 km) over a four-day weekend. Due to take place over four days between 12-15 April 2019, the marathon will coincide with the start of the Run Jordan Dead Sea Ultra Marathon, and the completion of the Boston Marathon. During the One World Marathon and the time leading up to it, participants can share their stories and experiences via social media. Teams can have any number of members and, since one of the main objectives of the event is to connect people across borders and diverse backgrounds, One World Strong are encouraging teams which represent multiple continents, countries and cultures. And if your goal is to make it ten steps, a quarter, a half mile, a mile, we’re going to work on a system that can bring you together with other people from around the world where you can team up, and add your miles or kilometres together to equal 26.2. So whether that’s a team of two or a team of 20, it really doesn’t matter. If you’ve got senior citizens around the world who want to team up, they can do this. Using existing social media and the One World Marathon website, participants can organise, communicate and track the contributions of team members throughout their training and during marathon weekend. They can also use these channels to form these teams, communicating and sharing stories and short videos of all these folks coming together around this common goal. And that common goal is completing a marathon together. Participants will upload their results to our OWM website, and we will track each team’s progress throughout the weekend in April. The One World Marathon will be taking place from 12-15 April 2019. If you wish to participate, you can visit the One World Marathon page at oneworldmarathon.org. If you wish to find out more about the mission of One World Strong, their website has a lot more information. If you or someone you know have experienced violent extremism directly, they can be reached via [email protected] or +1 978 314-4748.